With a big trip to Scandinavia coming up, starting in Berlin, what better way to get there than by flying out to Poland having a day in Warsaw, where I’d never been, then overnight to Bratislava for a day there then overnight to Dresden for half a day there before meeting my wife in Berlin; from where the main event would start as we headed into Scandinavia. I discovered new ways to get to/from the Nene Valley Railway on this particular day; namely by bus to Wansford. Four round trips off 31271 wasn’t to be dismissed as I had to head to London anyway and as I had pre-booked tickets that fitted rather nicely with doing the NVR it just made sense and having boarded the 1745 Leeds – Kings Cross at Peterborough, with 91122, I was effectively Warsaw bound! I’d originally planned to stay at the Heathrow Lodge near terminal 5, mostly as its very cheap accommodation very near to the airport. However I then cancelled this in favour of staying at Aidy’s and heading out early from his to the airport instead; it wasn’t until late the previous night that I actually realised that it was too tight to even risk getting from Ladywell to Heathrow by public transport first thing in the morning. So an hour on the internet resulted in me booking a room at the Holiday Inn on Bath Road, near Harlington Corner, for £103 which was cancellable up to 1300 on the day of arrival; and it was ultimately cancelled as I was whisked south from Doncaster to Peterborough by 91104 working the 0505 Leeds – Kings Cross. While surfing the net on my way I found a deal at the Hilton outside Hatton Cross underground station for £89 so that was booked before I got to Peterborough and the Premier Inn cancelled. A very nice Hilton the Hilton Garden Inn was too. The room was pristine, spacious and comfortable and the only complaint I had was the noise coming from the next room; which was rectified by a call to reception and the group occupying it were dispersed accordingly. I set my stall out ready for my early, but not as early as it could have been, alarm call, in order for a quick exit to Hatton Cross underground station. Having checked the tube times out in advance I was showered and checked out of the Hilton with plenty of time to spare for the 0556 tube from Hatton Cross to Heathrow Terminals 12&3. I’d already checked in online through the BA App so just headed straight to security and was sat waiting for breakfast to be served 15 minutes after getting off the tube! BA’s 0735 Heathrow to Warsaw Chopin was almost a full flight and departed on time but arrived early into Warsaw which had me make the 1109 SKM EMU from Warszawa Lotnisko Chopin. The station is quite well signposted and it basically out of the terminal building, turn right and follow the building until you reach the station entrance. The 15 minute journey to Warszawa Zachodnia gave me enough time to get my crap in order and figure out what I needed to have me functional for a day of nedding in Warsaw. The weather was good and armed with a full red pen it was like jumping into a fire once I got off the EMU at Zachodnia and having never been to Poland before it was like shooting fish in a barrel! 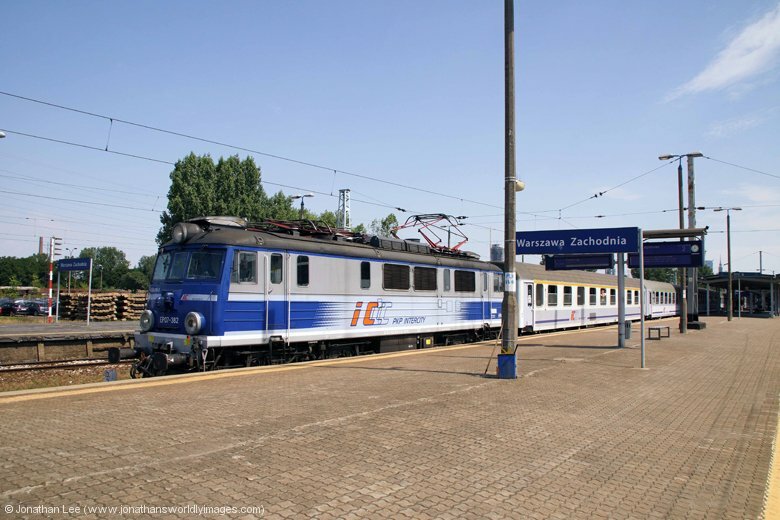 Unfortunately my introduction to the country was an EMU to Zachodnia for EP09-016 to Centralna on TLK81103 0553 Gorzow Wielkopolsji – Warszawa Wschodnia; I soon learnt that it would be taking my a while to write down my moves in the country as most station name would score very highly in a scrabble game, where letters that followed each other should just never do so. 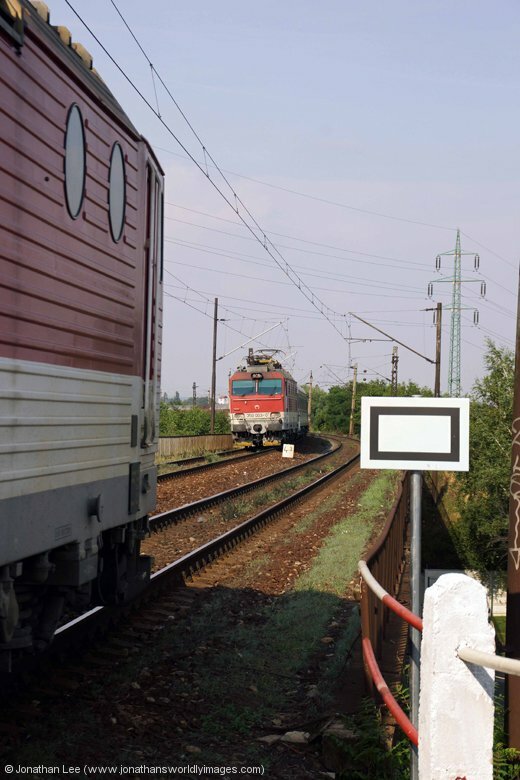 I have the EU Rail app to thank for keeping me in the picture there and also for keeping me in the know as the table 600 I’d printed off the PKP website was basically a work of fiction; yet the app was spot on! The first EP07 followed straight after I arrived into Centralna and I didn’t really look back from that point on but didn’t come across any EU07’s until about an hour later when a few appeared in a short space of time. 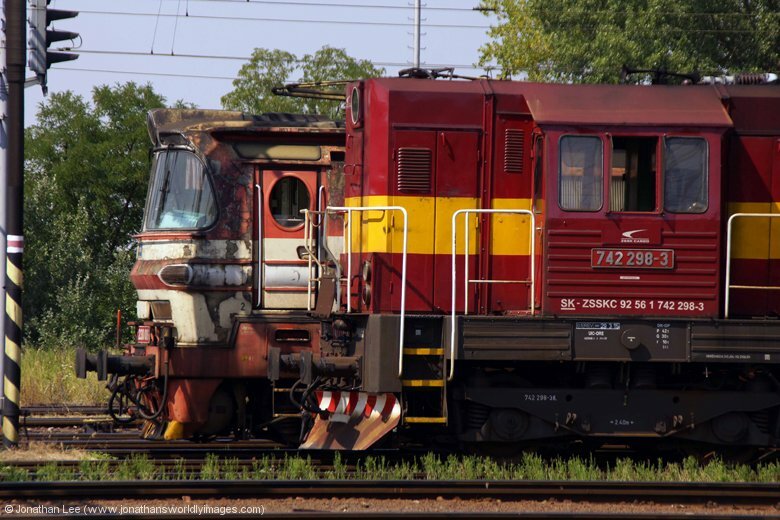 Having done a battered EU07-516 to Zachodnia on TLK21102 0924 Kielce – Zachodnia I was then presented with a pristine PR EU07-078, in a nice dark brown livery, with IR81123 0703 Szczecin – Wschodnia. 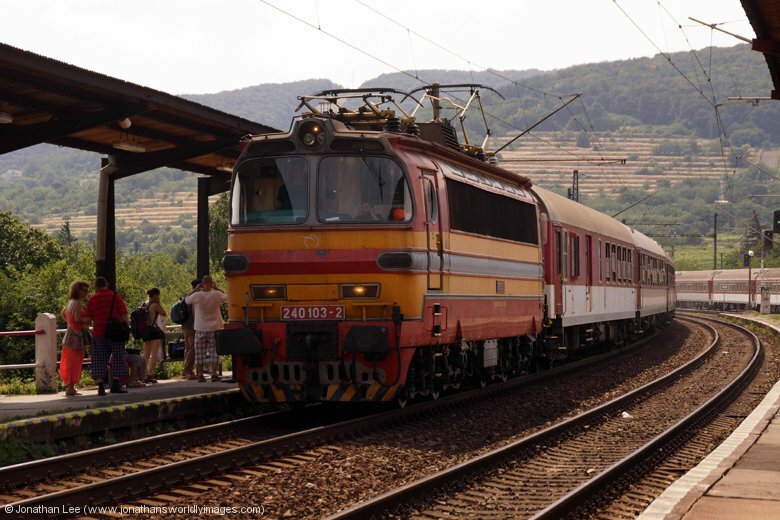 When I boarded though I was instantly invited to alight again by the conductor, who spoke no English and seemed to be asking for a ticket and saying Wschodnia quite a lot. My Interrail didn’t seem to do the trick either and whatever she was trying to tell me about Wschodnia seemed to feature highly in her agenda. In the end I stood on the platform, resigned to the fact I was going to have to watch the train leave when, as I uttered to the conductor that I only wanted to go to Centralna her tone changed and she ushered me aboard the empty train as if we’d not had the whole scenario that had preceded me boarding! Bizarrely another reservation riot soon followed after I’d done EP09-004 forward to Wschodnia and while I’d just written the move in my book the guard poked his head into the compartment and asked for my ticket, when I couldn’t produce a reservation he wasn’t going to back down and invited me to get one; that resulted in me getting off the train and flagging 370008 on EIC1307. 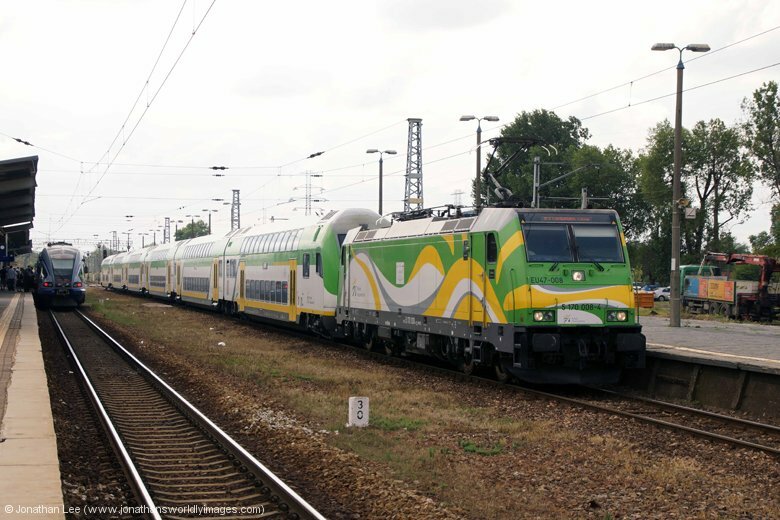 It’s amazing how things turn out for the best as EU07-038 was next up with TLK25113 1124 Lublin – Gdynia Glowny, which dropped me back into Centralna at the right time to cover the two PKP trains covered by DB Vectron’s. 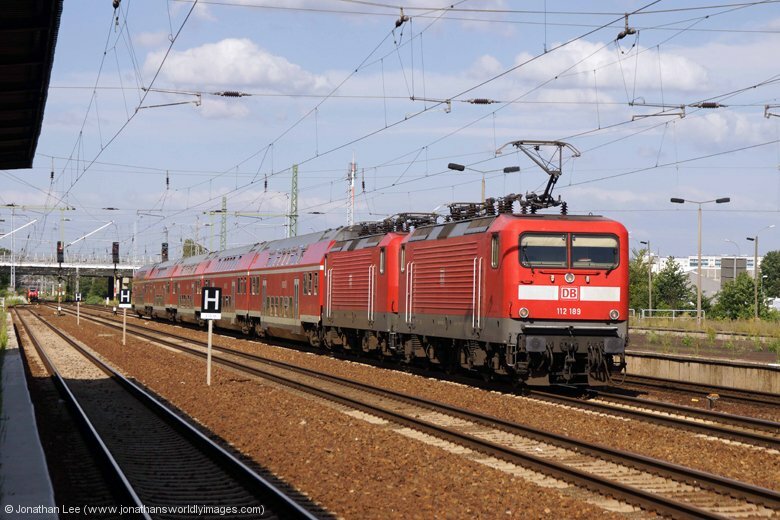 170049 produced for TLK18103 1337 Wschodnia – Gorzow Wielkopolski and the next train back from Zachodnia just so happened to be 170052 with TLK31102 1102 Krakow Plaskow – Wschodnia. 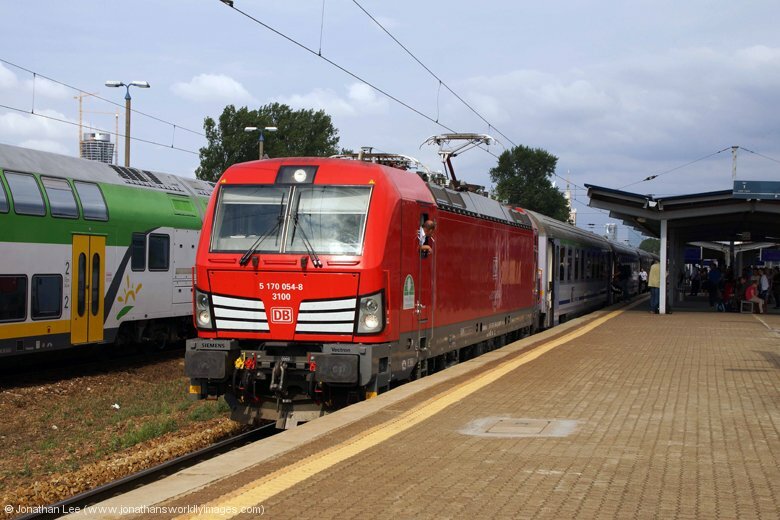 After a few more Zachodnia moves I was then surprised to find a third Vectron for the day, 170054, heading EIC1701 1543 Wschodnia – Zielona Gora; I initially thought that 170052 had been swapped out until I saw it come back on its booked train shortly afterwards. 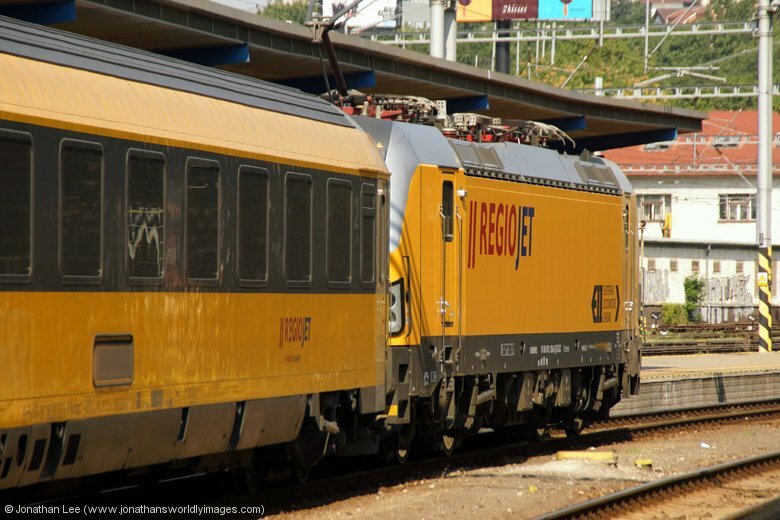 Does this now mean there are three Vectron turns in Poland or was 170054 out vice something else? In the afternoon a few engines that had headed in earlier started to return from Wschodnia but then a few SKM 170’s started to produce on the evening commuters so there was something else in the mix. 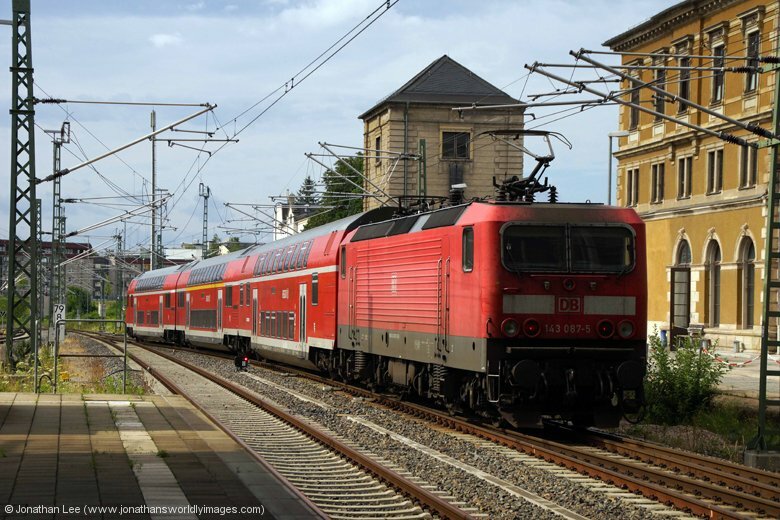 While EU07’s were a bit thin on the ground the afternoon produced quite a lot of EP07’s with EP09’s seemingly taking a back seat until late on in the day, when even a pair produced on TLK14101 1828 Wschodnia – Raciborz; in the form of EP09-016 leading EP09-039. I’d managed to leave my bag in a left luggage locker for the day, which can be found if you head up the steps at the Wschodnia end of Centralna and turn left at the top, the lockers are right at the end of the corridor on the left hand side, tucked down the side of the ticket counter. Thankfully I decided to get my big bag from the very handy left luggage lockers at Centralna before doing a last move to Wschodnia and back before my overnight to Bratislava. 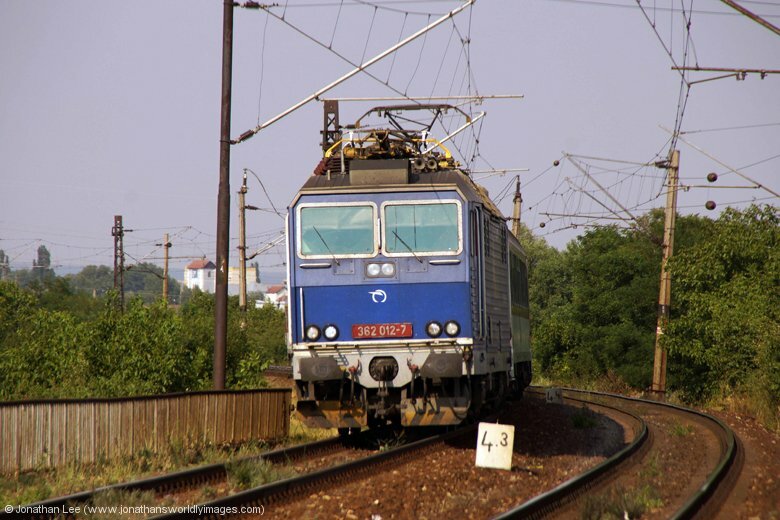 When EP07-1025 deposited me at Wschodnia off TLK82152 1237 Kolobrzeg – Lublin the screen then showed the train I was going to do back at being 70’ late; so that was mostly that and I would be doing TLK407 2053 Wschodnia – Wien Westbahnhof from Wschodnia. Had my bag still been in the luggage locker at that point there would have probably been enough time to leg it upstairs at Centralna while EP09-043 sat waiting time to depart; it wouldn’t have been a good position to be in though and I was thankful I wasn’t in it as I settled into my berth while the train waited in Wschodnia. When I was gripped I was given the delightful news that the other occupant of my two berth sleeper compartment wouldn’t be joining until Katowice; at midnight. Let’s just say I wouldn’t be feeling too guilty when I got up to see what went on at Bohumin at 0120! I wasn’t asleep when the guy got on at Katowice and didn’t really manage any sleep by Bohumin anyway. 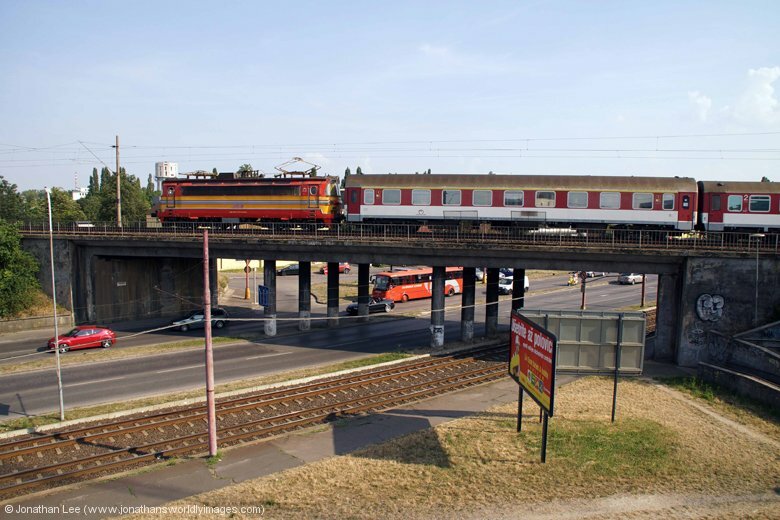 When TLK407 arrived TLK402 Krakow – Breclav was already in the adjacent platform. The Wien portion from the front of TLK402 was shunted across and onto the top of my train, which had the Wien portion leading. Electric shunting device 111028 then dropped onto the rear of TLK407 and I assumed it would then shunt the Praha & Budapest portions to the rear of TLK402; to all go forward to Breclav. 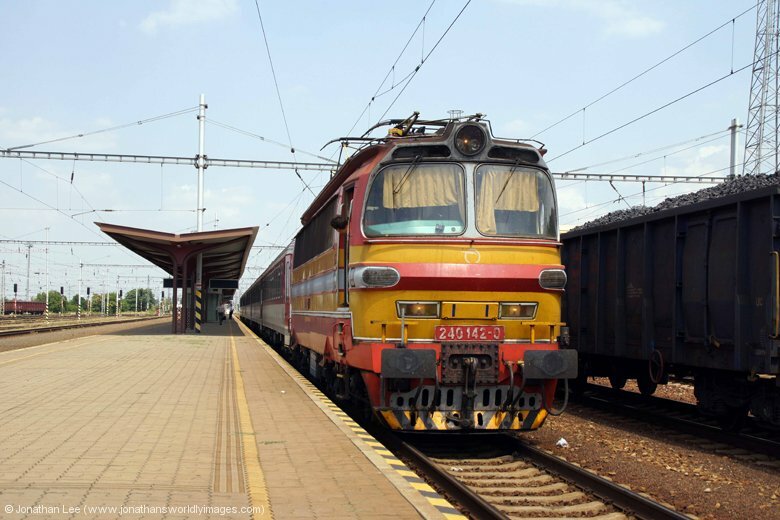 When 111028 pulled away with only the rear two coaches, which was the Praha portion I robbed; until I realised what was occurring that was. 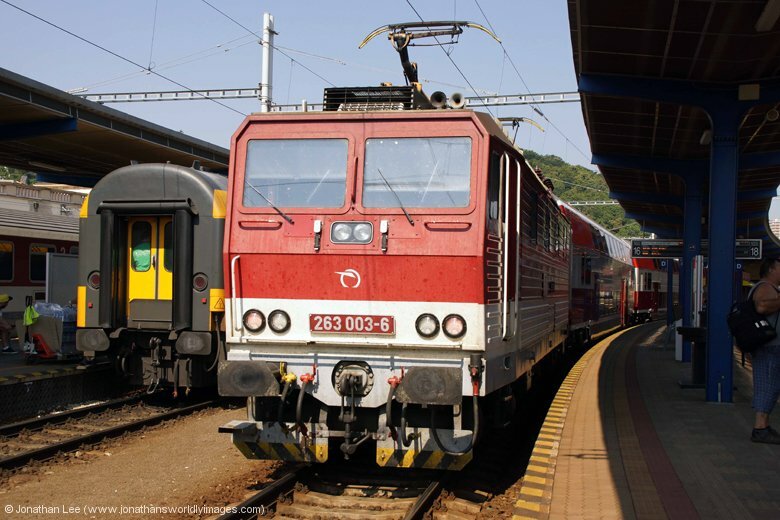 The coaches exposed by the Praha ones having been moved all had Krakow to Budapest window labels and once I’d gestured to the guard on the platform by pointing at them and then our train he confirmed that they would be shunted over to our train in perfect English! Well I was up and it would have been rude not to, so over I went and did 111028 on the shunt back across to my original train then legged it down the platform, with 5 minutes to departure time, to find CD 380018 at the front of the train. 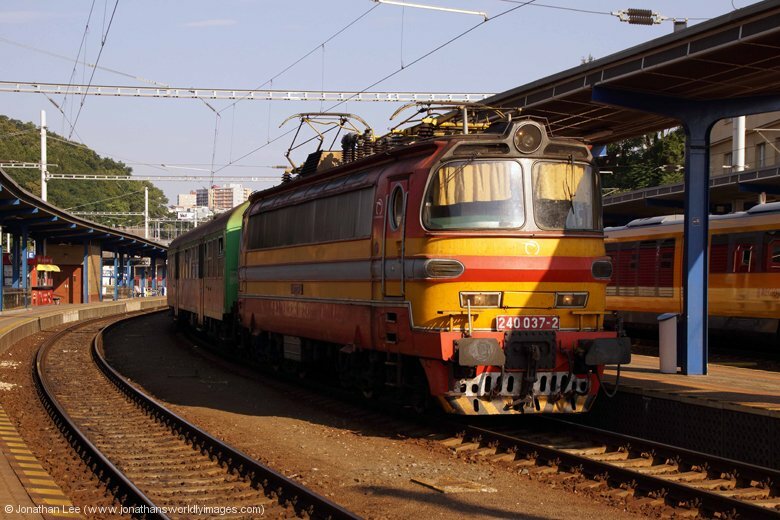 What I did find a little strange though was the fact that TLK407 Warszawa Wschodnia – Wien Westbahnhof effectively dropped the Budapest portion off at Bohumin yet the only portion that hadn’t moved off either TLK402 or TLK407 at Bohumin was indeed the Budapest portion and the whole of TLK402 Krakow – Breclav had been shunted; yet it was the through train! Having slept a little better I still managed to be up before my alarm went off and was presented with a cup of coffee, by the coach attendant, prior to arrival into Bratislava Hlavna Stanica; which should have been at 0536 but turned out to be 0545 instead. 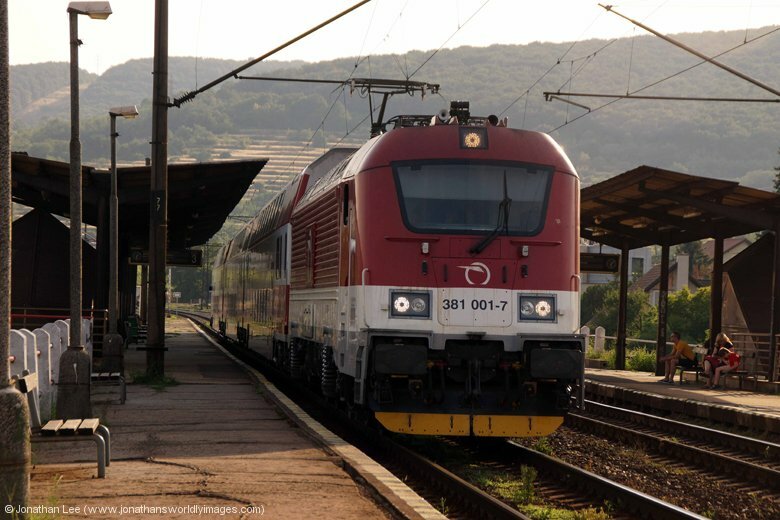 This only gave me 5 minutes to get the engine that had worked my train forward from Breclav, where I can confirm there hadn’t been any random shunt moves carried out, and leg it across for the 0550 Bratislava – Kosice Regiojet service. ZSSK’s 350020 headed EN477 1823 (P) Berlin Hbf – Budapest Keleti, which my portion had been shunted on to at Breclav, and I was quick enough to find Regiojet liveried DB Vectron 193214 at the head of IC401 0550 Bratislava – Kosice. 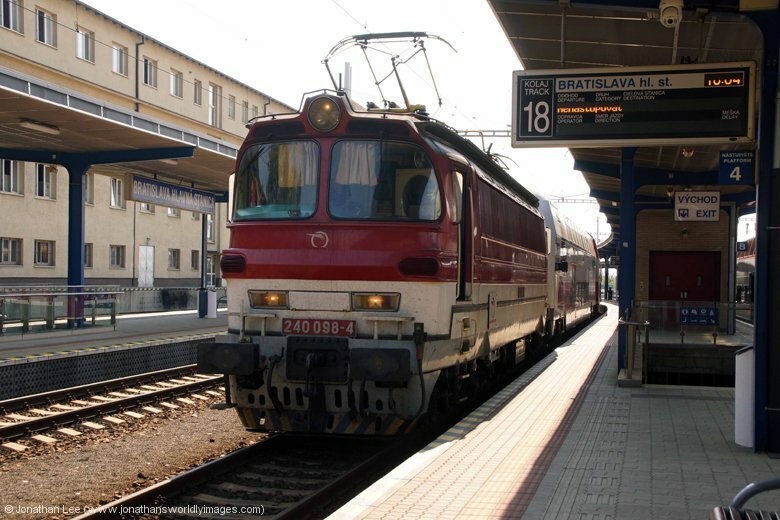 ZSSK 362009 was sat in the adjacent platform with R601 0555 Bratislava – Kosice, which I got off at Trnava for having paid the nice lady on board the reservation supplement for travelling on her train. She was very wise to my Interrail but not a pain in the arse when it came to chinging up on board. 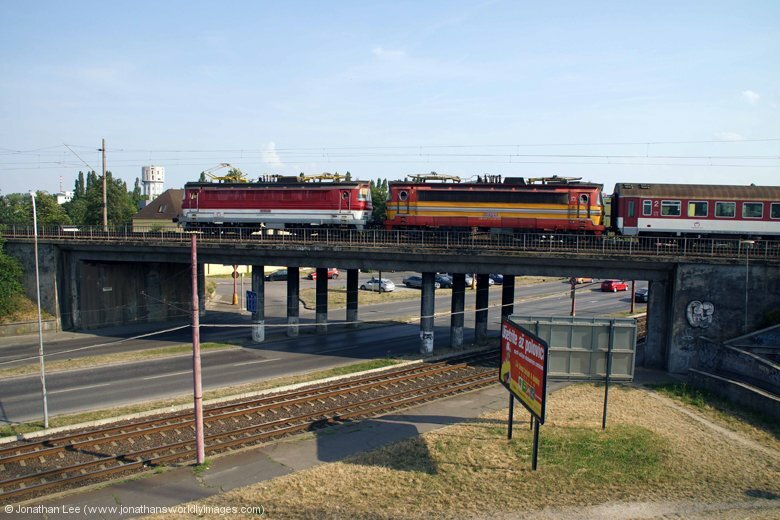 Having done 362009 forward to Leopoldov on R601 my planned move, which worked a treat, had me Bratislava bound and stepping off at Trnava, Senkvice and Bratislava Vinohrady en-route; with 362012 on R720 0443 Prievidza – Bratislava, 363133 on REX734 0550 Trencin – Bratislava Nova Mesto, 381003 on Os3006 0656 Leopoldov – Kuty and 361103 on R704 0525 Zilina – Bratislava. 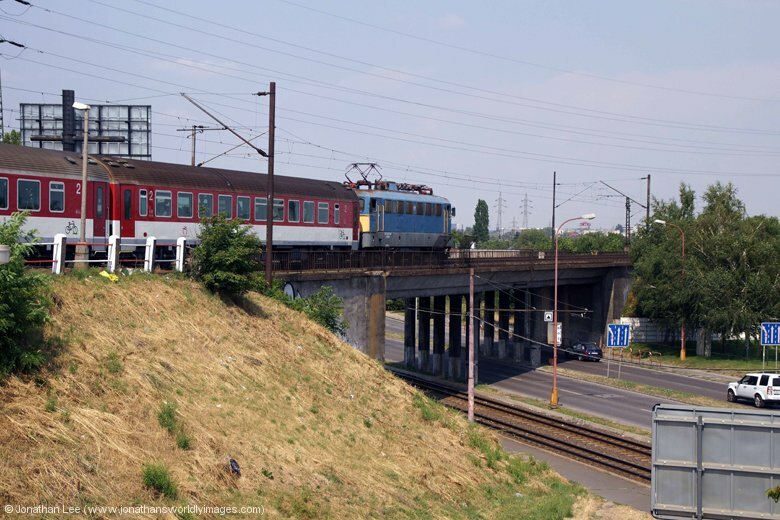 The only 240 I saw, before arriving back into Bratislava was 240098 with Os2007 0538 Kuty – Leopoldov, which was on a push-pull set! The left luggage facilities are excellent at Bratislava Hlavna Stanica with lockers being available on platform 1 just as you enter the platform and only costing €2. With my big bag dumped there for the day I sought breakfast out before finding 362012 sat with R701 0855 Bratislava – Zilina, which I’d already had that morning and shouldn’t have been on R701 according to the moves I’d worked out from the current diagrams; while thinking my finely planned move might go down the pan if locos didn’t stick to diagram I was dangled a carrot and took it as 240037 rolled in with Os2071 0718 Kuty – Bratislava Nova Mesto. Without much of a clue how to get back to Bratislava HS I looked at my MG Ball atlas and figure I might be as well trying to get to Vinohrady instead but then discovered tram route No.2; which basically ran direct from outside Nova Mesto to the bottom of Hlavna Stanica station approach. 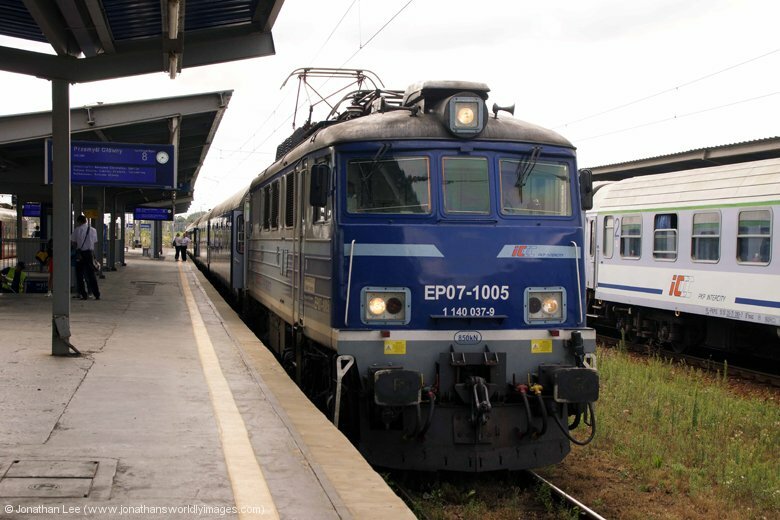 While I narrowly missed 362012 on R701 I arrived just in time to find and EMU sat with Os3011 0900 Bratislava – Leopoldov, which I should have been doing forward to Pezinok; not to worry though at 240043 was sat waiting to depart, on a battered set of stock, with Os4651 0907 Bratislava – Sala. While I was feeling in a tram bashing mood I remembered from my last visit to Vinohrady that trams ran straight underneath the station and having checked ME Maps en-route to Vinohrady it was just a case of confirming which one went to Raca and the bash would be back on track if I met 240098 coming back in to Bratislava with Os3010 0856 Leopoldov – Bratislava. The very helpful map in the tram shack shelter showed route numbers 3 & 5 to go to Raca and the first tram heading that direction turned out to be a route No.3 one; the journey only took about 10 minutes and I had plenty of time to walk to the station and wait for 240098 to roll in; now on top of the DVT having run round at Leopoldov off its inbound working earlier. 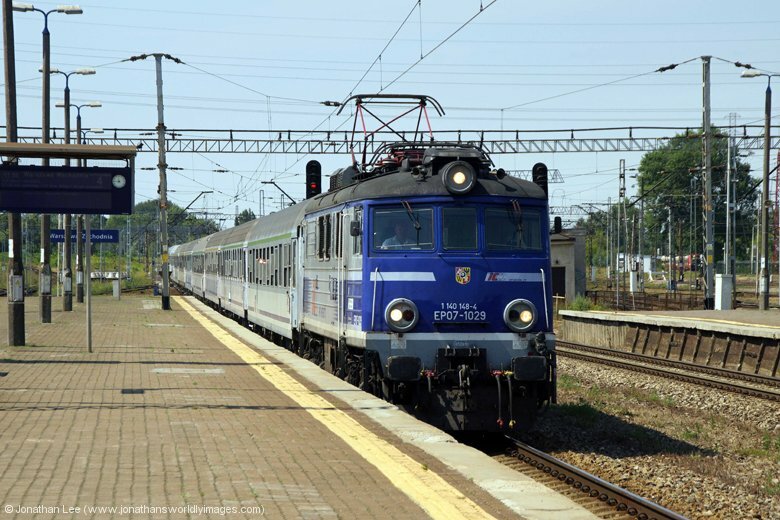 Thankfully the dead at Vinohrady made onto R830 0702 Zvolen – Bratislava which had 240123 at its helm. 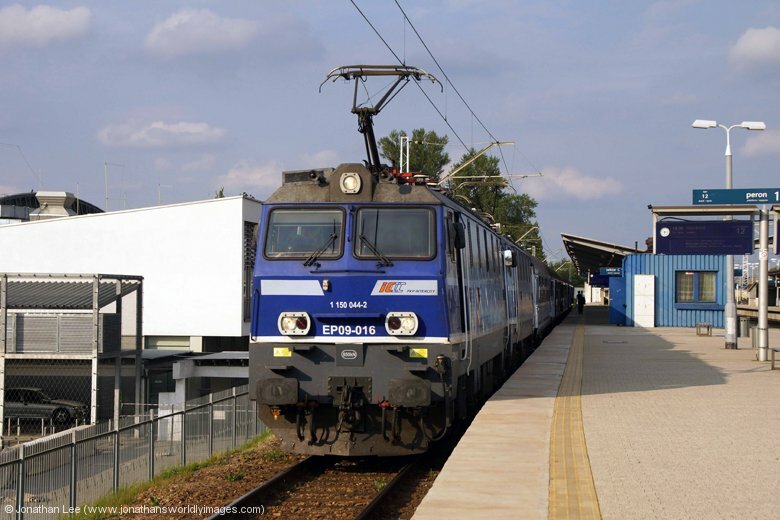 This dropped me into what should have been and out and back to Bratislava Lamac but what actually turned into a quick out and back to Bratislava Zelezna Studienca thanks to a 10 late start with 263003 on Os2012 1016 Bratislava – Kuty; thankfully though 240142 was bang on time with Os2045 1003 Malacky – Leopoldov coming back in and I managed to scramble underneath in time to make REX2515 1043 Bratislava – Wien Hbf. OBB’s 2016029 deposited me at Devinska Nova Ves where a much needed sit down was taken gracefully while waiting for what turned out to be 2016030 coming the other way with REX2512 1021 Wien Hbf – Bratislava HS. A slower paced early afternoon followed, which was needed in the very hot afternoon sunshine that probably topped about 35 degrees! 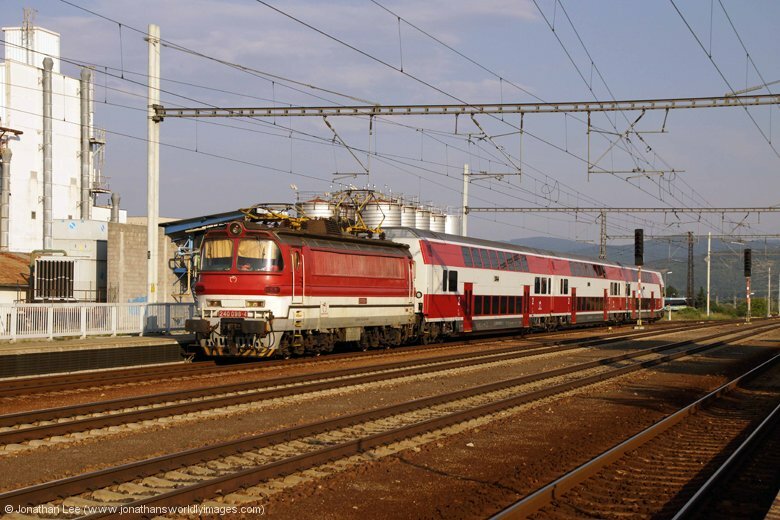 The AC was working well on board Regiojet’s IC403 1150 Bratislava HS – Kosice, which was headed by another Regiojet liveried DB Vectron; this time 193206. 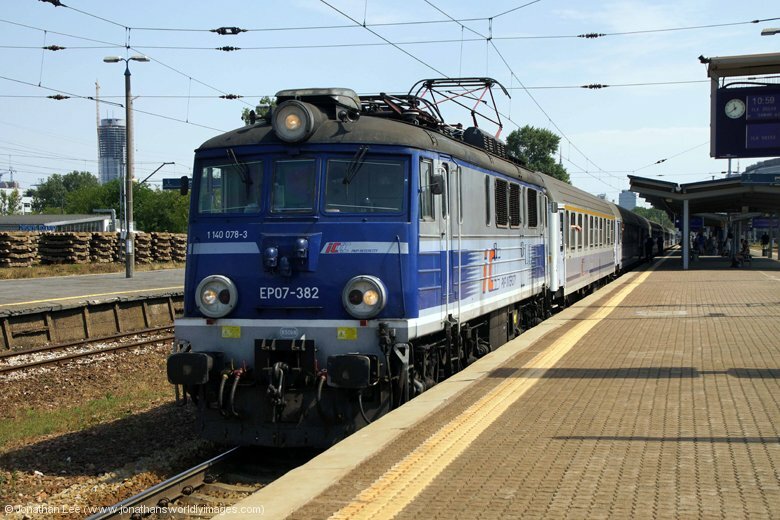 ZSSK’s 363143 was again in the adjacent platform waiting to depart with the completion train, this time R607 1155 Bratislava HS – Kosice and for the second time that day I did one to Trnava for the other forward to Leopoldov; the only difference being that there was no for move step-back into Bratislava in the afternoon. 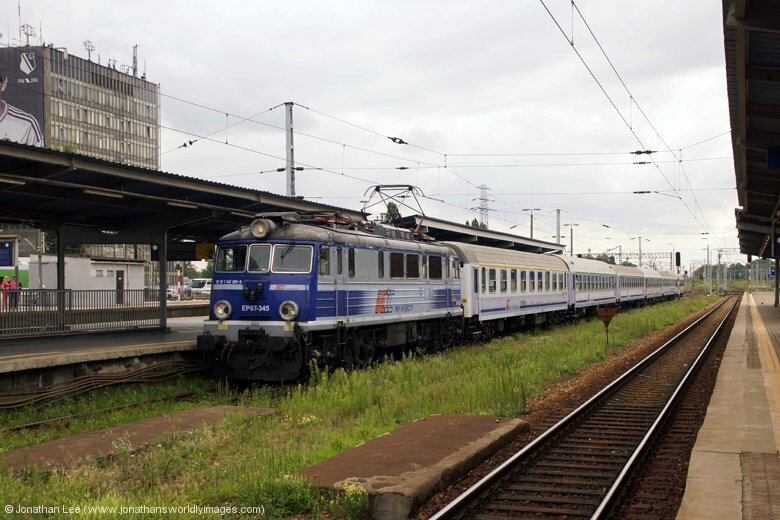 240142 was sat waiting to go at Leopoldov with Os3018 1256 Leopoldov – Malacky but having already had it that morning I waited for 362013 behind with R604 0814 Kosice – Bratislava HS and got off for 350014 at Trnava which was right away Bratislava with IC502 0924 Kosice – Bratislava HS. 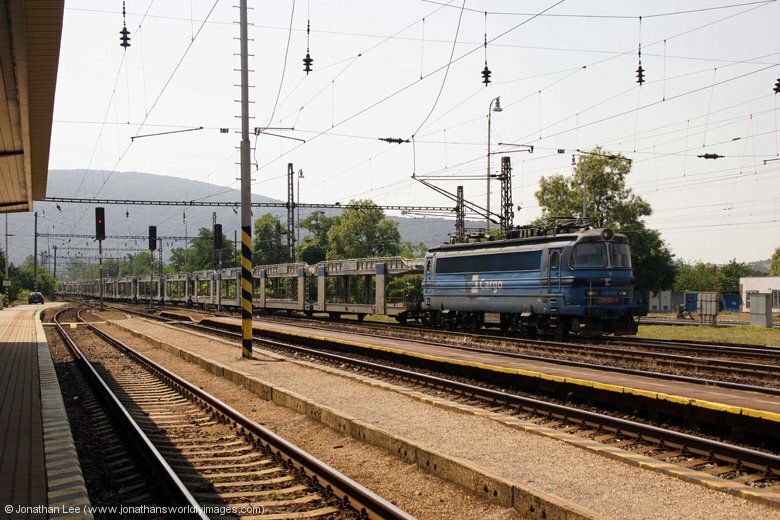 From then onwards, with the exception of one move, the rest of the day was spent doing moves between Bratislava Hlavna Stanica and Bratislava Vinohrady; where a little bit of late running spiced things up a little and actually made my moves better than they would have been, which is exactly what had happened the last time I’d visited Bratislava! 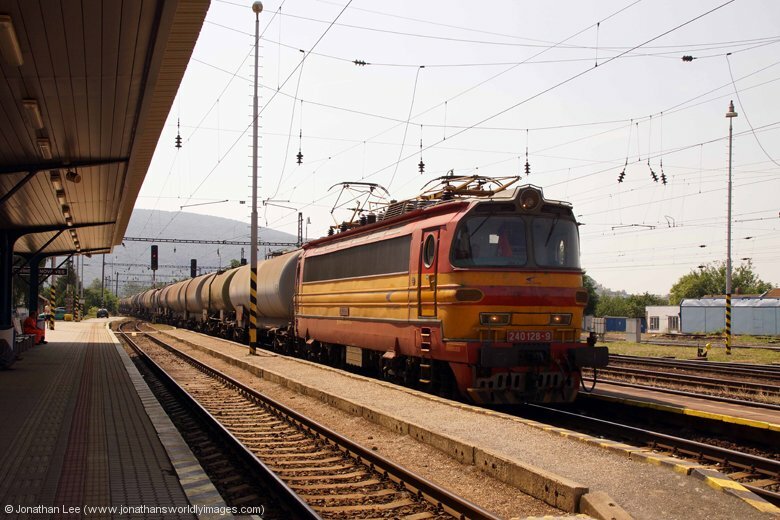 I departed Bratislava with 363136 on R1601 1441 Bratislava HS – Kosice and gave up on the day when I arrived back with 381001 on Os3032 1956 Leopoldov – Bratislava HS. The afternoon produced 10 different 240’s, two of which I’d already had that morning, 240037, 068, 075, 078, 084, 087, 089, 098, 100 & 127. 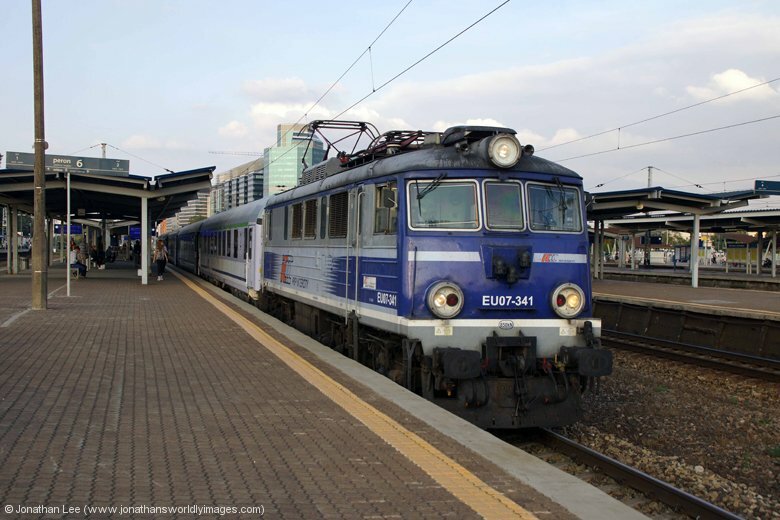 I was quite surprised when the afternoon/evening went pretty much to plan and even had a couple of bonuses; one being MAV’s 431015, which worked the booked MAV 431 diagram, that I had on R725 1455 Bratislava HS – Prievidza, the other was a bizarre combination of 240100 + load 4 leading 263010 and its push-pull set, both with pans up. 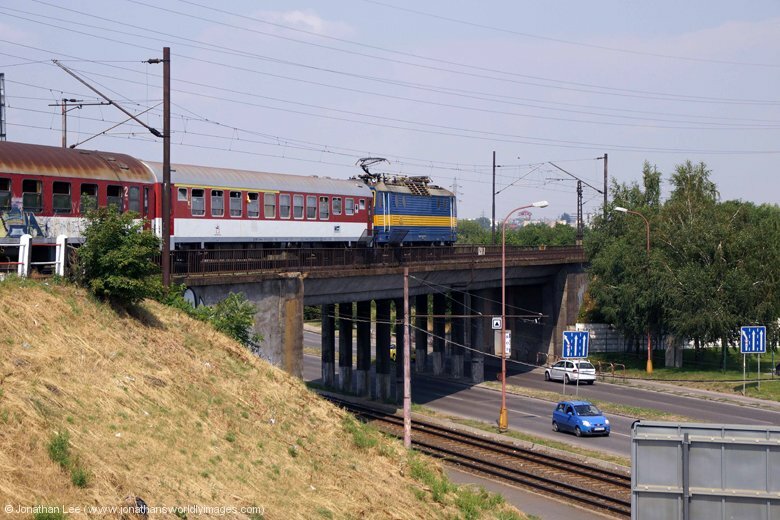 The only other thing of note was the 751 I heard while standing at Vinohrady station in the early evening; I didn’t see it but heard it crisp and clear as it headed over the freight line that passed by just the other side of the main road outside the station. Unfortunately the driver was a bit rubbish and didn’t get it to full power but it certainly sounded very meaty and quite loud from where I was standing. 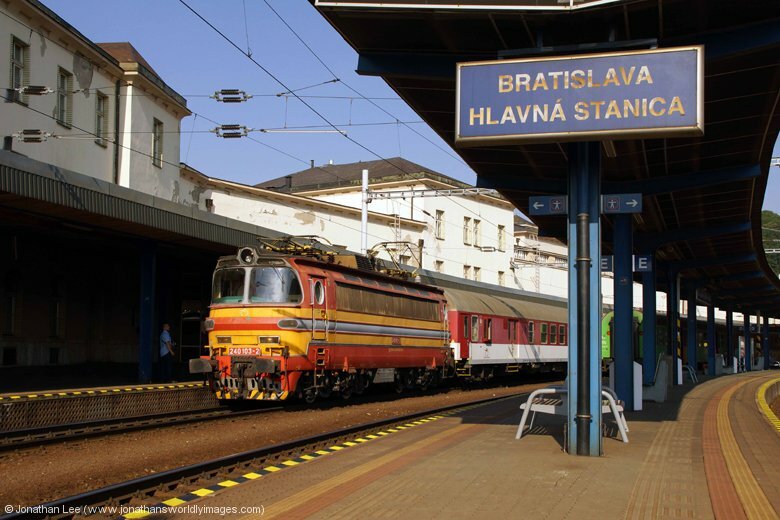 As food options are very limited at Bratislava Hlavna Stanica station, unless sandwiches are your pick of the day, I walked it in 20 minutes to the old town and had a very good meal at an Italian restaurant that I’d used before, when in Bratislava on a normal trip the previous year. Back at Hlavna Stanica it was nice to sit down, relax and collect some doing nothing karma; while watching the stations occupants go about their business. There wasn’t much in the way of train action to admire and my EN476 2005 Budapest Keleti – Berlin Hbf was showing as being 15’ late. Having got my bag out of the left luggage locker, shortly before 350013 arrived with EN476, I boarded to find the upper berth in my compartment already occupied, the occupant of which was going through to Berlin but as I was getting off at Dresden he asked for his breakfast to be served when mine was. 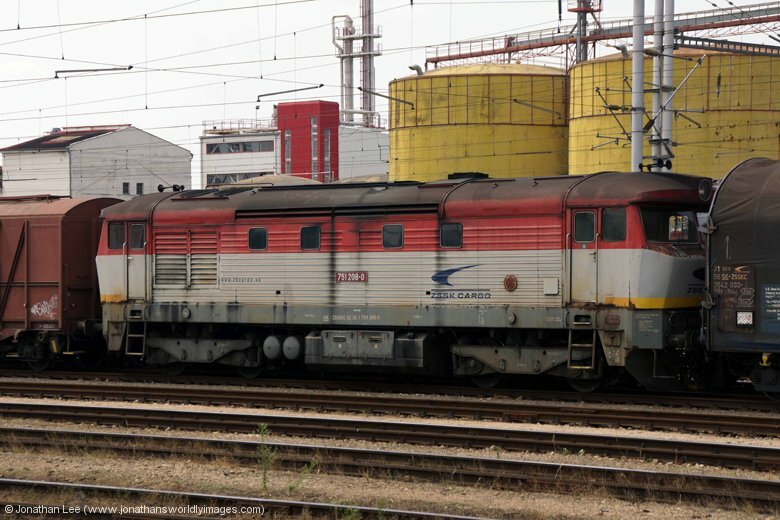 Thankfully there was no need to be getting up to collect engine numbers during the night as EN476 was now a ZSSK 350 from Budapest to Praha for a CD 371 to Dresden and DB101 forward; there were now no loco changes at Bratislava & Breclav as in the previous year! Sleep was definitely not hard to come by and the compartment lights were out very shortly after I’d had a shower, as the train departed Bratislava. 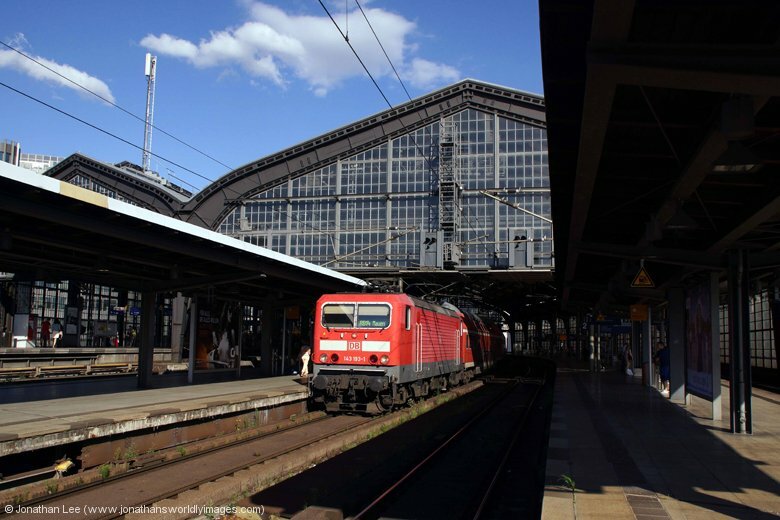 I woke before my alarm, which was set for 0620, and was surprised that I hadn’t already been woken by the coach attendant; who’d told me that he’d knock on the door 40 minutes before arrival into Dresden. A quick look out of the window revealed Czech station signs, which definitely wasn’t what I’d been expecting to see and shortly afterwards we arrived into Usti nab Labem a mere 60’ late; which would certainly put pay to the first part of my planned bash in Dresden and needless to say out came the timetable to figure out an alternative should I miss the 0753 Dresden – Hof. All I could get out of the coach attendant after he delivered my breakfast, if you could call a coffee and croissant breakfast, as that the train had been over time in Praha. 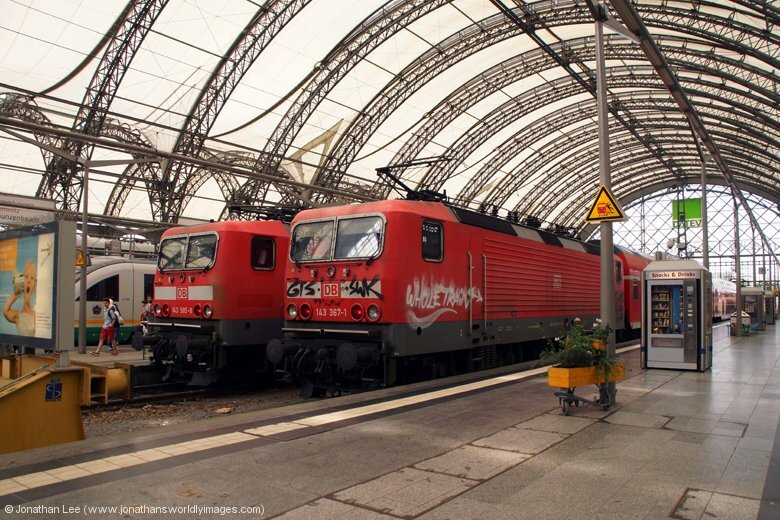 Thankfully though it arrived into Dresden at 0749, still 60’ late, which gave me just enough time to run to the front and find CD’s 371001 about to be replaced by a DB101 that was waiting outside the station to drop on, then leg it downstairs to board RE4764 0753 Dresden – Hof; which I’d spotted as we ran in with 143883. I only had half a day in the Dresden area as I needed to be at Berlin Schönefeld Airport to meet my wife by 1620; a very carefully planned move had been put together as a result and having missed the first 5 moves of it I was hoping things would go ok with the moves planned on the Hof/Zwickau 143 turns. 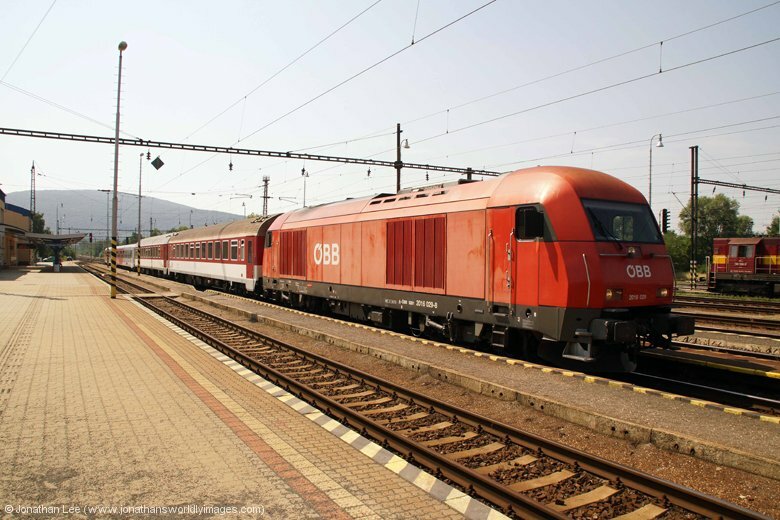 I’d figured out that the best way to ned them in was between Chemnitz & Flöha and had a 10 engine bash worked out involving either plus 2’s or dead’s at Flöha or plus 5’s or 7’s at Chemnitz. As luck didn’t have it the dead’s at Flöha weren’t across the island platform they were a mad dash underneath the subway; thankfully the two dead’s I had to do made thanks to a little late running on the trains coming out of Dresden. 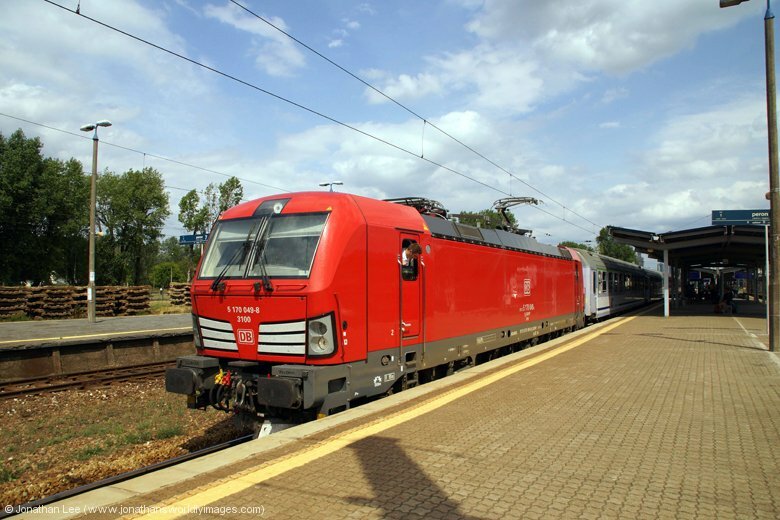 This seemed to be a bit of a theme as the 143883’s train I’d done out of Dresden had been a little late as well. Just as things looked to be going smoothly I thought I was going to be bowled for the last move on the Hof line when 143367 arrived on RB17215 0939 Zwickau – Dresden and required police assistance; but I was pleasantly surprised was some guy was hauled off the train and dealt with promptly on the platform by three police officers and the guard set the train away right time. I was quite relieved when my last plus 2 at Flöha made as at some point something had to miss, which would result in two engines being missed if that did happen. 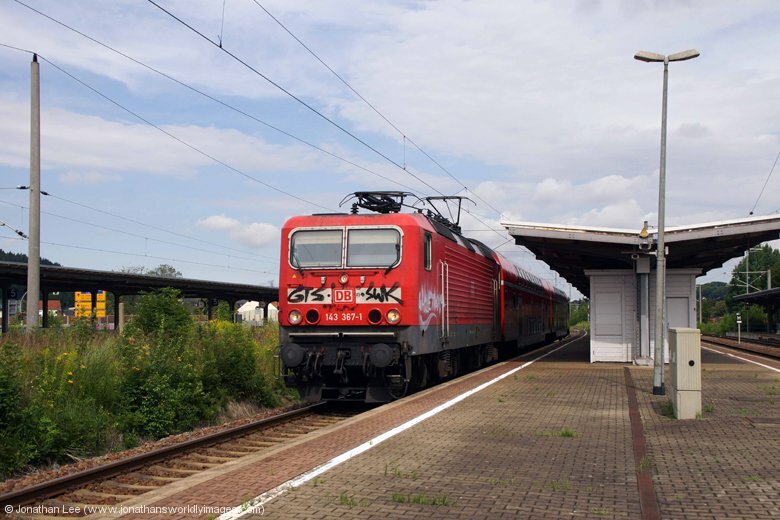 So as I left Chemnitz for the last time with 143585 on RE4765 0927 Hof – Dresden I was thankful of the fact everything had gone as smoothly as it could; especially when 143947 was just pulling away from Flöha as we came to a stand, with the next train towards Chemnitz, which was bang on time. Chemnitz could offer more in the way of moves but one of the lines from Chemnitz was closed and buses were substituting for trains thus cancelling out quite a few diagrams on the line. Still, a good morning was had with 143087, 585, 647, 883, 932, 952 on Hof turns and 143205, 360, 367, 814 on Zwickau turns. 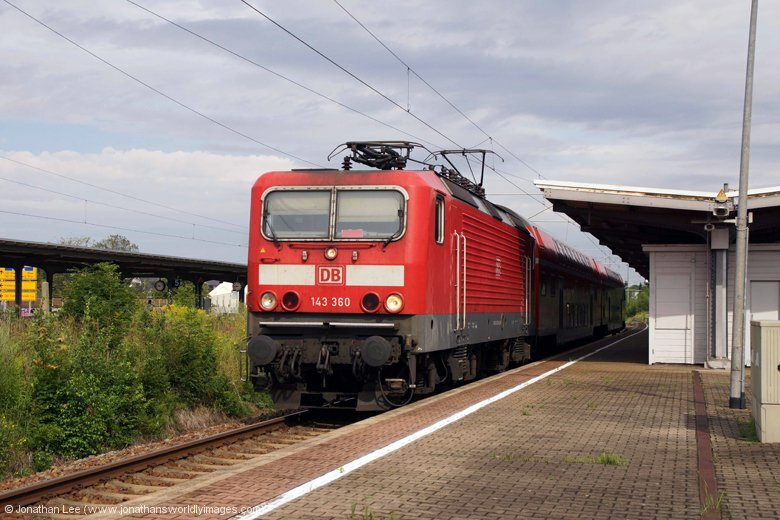 Back in Dresden I only had 1h04m to kill before heading to Berlin on EC378 0610 Bratislava HS – Osteebad Binz; the loco for which was sat just outside the station in the shape of 101140. In the 63 minutes I had I managed to cover 4 of the 182 diagrams and both of the Dresden Flughafen 143 turns; one of the 182 turns was covered by 143359, the other three turns I did were 182016, 019 & 021 with 143909, 933 on the Flughafen turns. 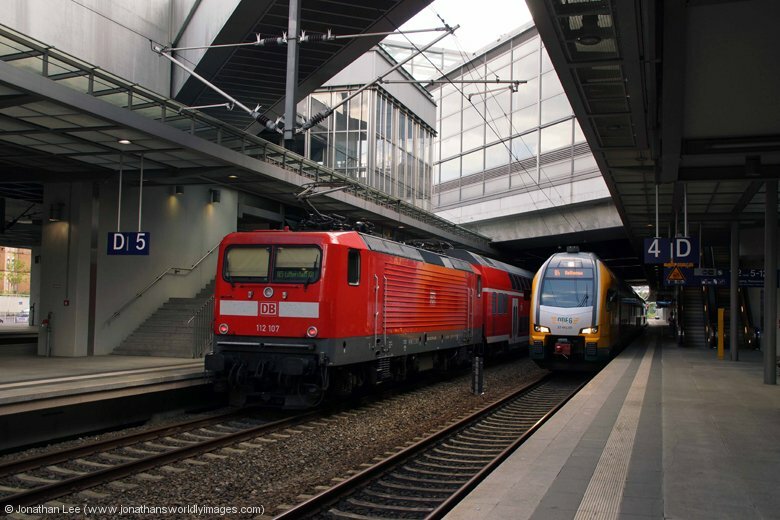 A last ditch move, when I realised I could do it, actually had me doing 182021 from Dresden Hbf to Dresden Neustadt in front of EC378; which was just arriving with CD’s 371003 as I departed. 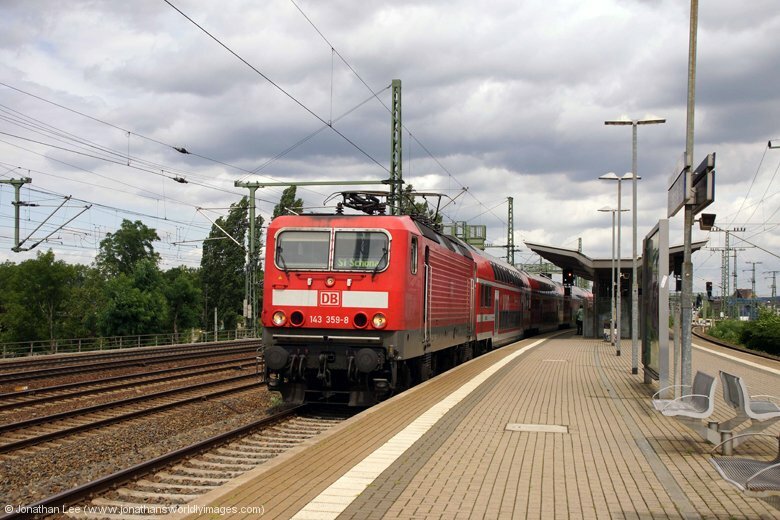 The journey to Berlin was pretty harmless but EC378 was hammered a bit on the way and was 15 late by Berlin Sudkreuz where I stumbled upon a move I hadn’t realised I could do when 112107 rolled in with RE4361 1234 Rostock – Lutherstadt Wittenberg. 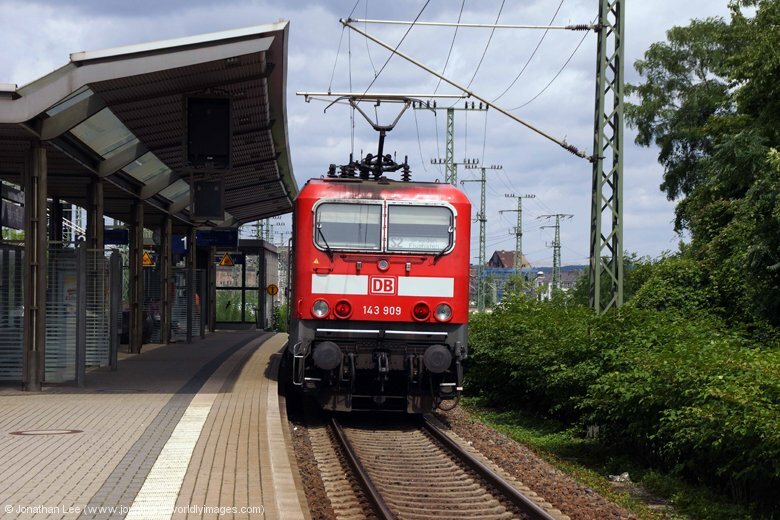 It was a plus 2 at Lichterfelder for what turned out to be 112111 back and I only just made the 1538 “Airport Express” EMU to Schönefeld Flughafen. I then made the mistake of heading to Terminal D, which was where the return Norwegian Air flight to Gatwick was departing from, only to then find that arriving passengers would do so through Terminal A. By the time I got there my wife’s plane was just landing! 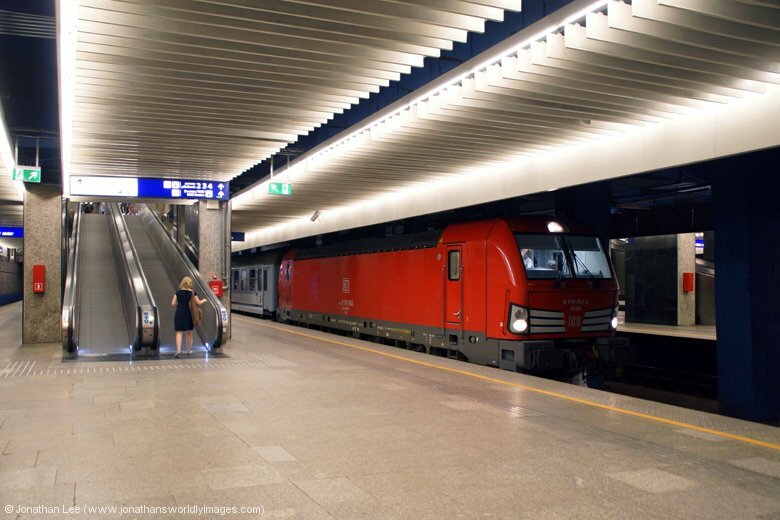 Getting from Berlin Schönefeld Flughafen to Potsdamer Platz, where our hotel was, is quite easy and there’s two routes to take, either via Sudkreuz or Ostbahnhof and when we found 143193 waiting with RB18926 1726 Flughafen – Nauen vice EMU that got the vote over an EMU to Sudkreuz. 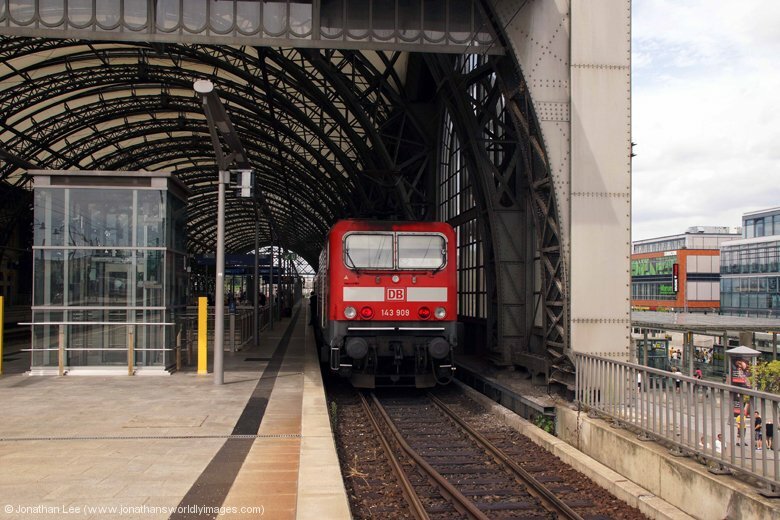 A nice little move strung itself together with 143193 being right time at Freidrichstrasse which allow us to do 182010 back to Alexanderplatz on RE18125 1608 Magdeburg – Frankfurt Oder for 112155, vice 182, to Berlin Hbf on RE18130 1659 Frankfurt Oder – Magdeburg and then finally 112113 to Potsdamer Platz on RE18515 1503 Stralsund – Berlin Sudkreuz. The Hotel Motel One was a five minute walk up the road from Potsdamer Platz. The room was spotless and pretty much what you’d expect at the likes of a Hilton, albeit a little on the small side. Wi-Fi was free and very strong but breakfast wasn’t included in the rate so we paid €9.50 each for breakfast. The staff spoke fluent English and confirmed we could leave our bags with them the following day, once we’d checked out. Food that evening was going to be Mexican but the place we’d found on the Triposo App was nowhere to be found and we ended up at an Indian restaurant, in the vicinity of where the Mexican should have been, called Amrit. It’s only a short walk from the entrance to Potsdamer Platz station and the food was tasty, piping hot, served quickly and the service was excellent all round with all the staff speaking fluent English as well.